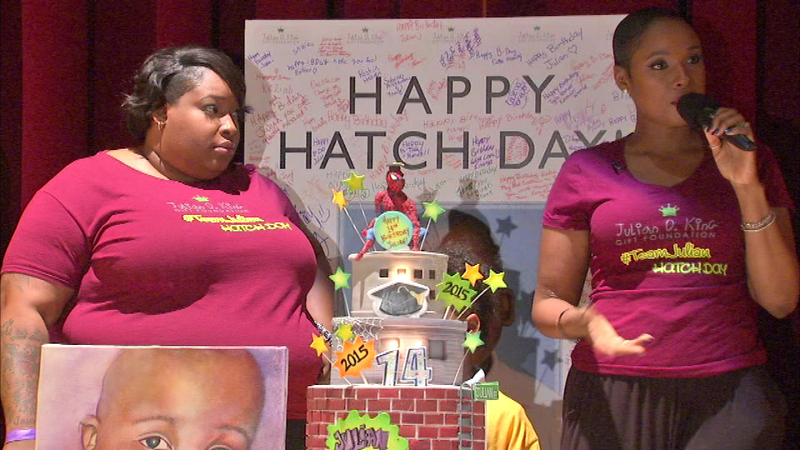 Jennifer Hudson and her sister passed out back-to-school supplies as part of "Hatch Day." CHICAGO (WLS) -- Chicago's own Jennifer Hudson was back home Friday for a back-to school event in honor of her nephew. Her advice to kids heading back to schools was, "You don't always have to be perfect. Always try and if you keep at your dreams, it has no choice but to give in." Hudson and her sister were on the South Side for her annual "Hatch Day" celebration, a back-to-school event to give children free backpacks and other school supplies. "Hatch Day" was created after her nephew was killed in 2008. He would have graduated from 8th grade this year.